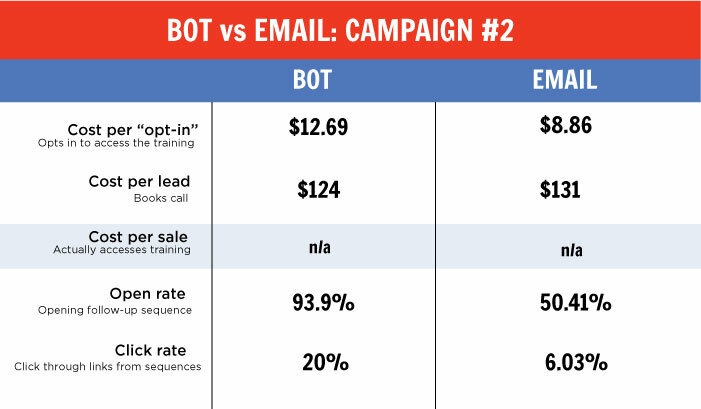 Bots vs Email – Which One Is Better? Being in the digital marketing space for a while, I’m used to new features, trends and technologies and the sheer panic that comes every time something new rolls out and the desire to become competent enough so to not become redundant – I think if you’re in the FB ads or digital marketing space you would have experienced this as well at some stage. But bots are a bit different. Otherwise known as “chatbots”, bots are essentially software technologies that automate tasks and enable almost human-like interactions. Tech giants like Microsoft and Google are all chomping at the bit to make waves in this space, and a recent study unveiled that nearly 180 bot startups have attracted over $24 BILLION in funding to date. And – of course – Facebook is paving the way with Messenger, its open API allowing companies like ChatFuel and ManyChat to build software that allow use to use the platform as part of our sales funnels. Bots, bots, bots, everywhere you look there’s a bot. 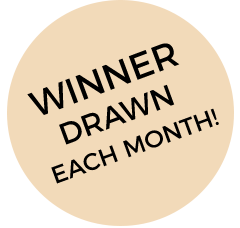 They’re pretty awesome, and novel – a combination that usually results in lucrative marketing ROI. I mean, how do they actually stack up against the reigning king of email…. Before you read on, I wish to stress that this is a test done over three campaigns across three different businesses. it’s definitely NOT the most scientific or robust of testing as my audiences and the products I sell may of course result if wildly different results to what you might get. But in my case – what I’m interested is if bots actually do improve conversion rates and results for my clients and for my own businesses. It’s importan to note here that one of the very big drawbacks of using bots is the inability to retarget users (you can create a Custom Audience of those that messaged your page but this will target EVERYONE that messaged your page within a specific timeframe, not just those in that specific funnel). 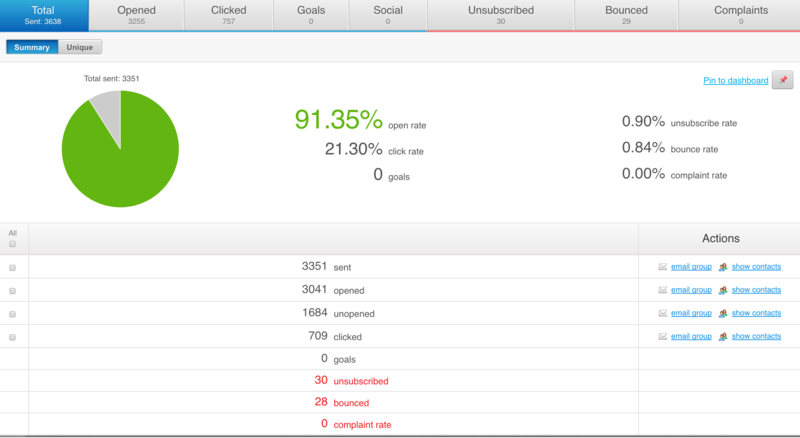 And while the open rates for bots are very high (as you’ll see below) – this severely limited results. 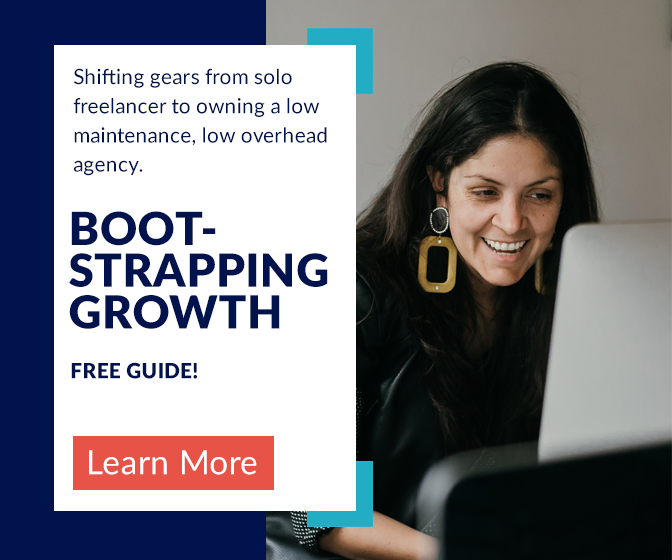 I tested over $35,000 across the three different funnels – this was split between the standard landing page funnel and the bot funnel and the test was run for a period of two months. I was almost 1000% sure that the bots were going to win out – the engagement on the ad posts using the bots was phenomenal… but I was wrong. Here’s what excited me most about this test. My target audience IS Facebook/social media marketers. I am literally targeting the one subset of the population that technically should be extremely receptive to bots. And – in fact – they WERE! 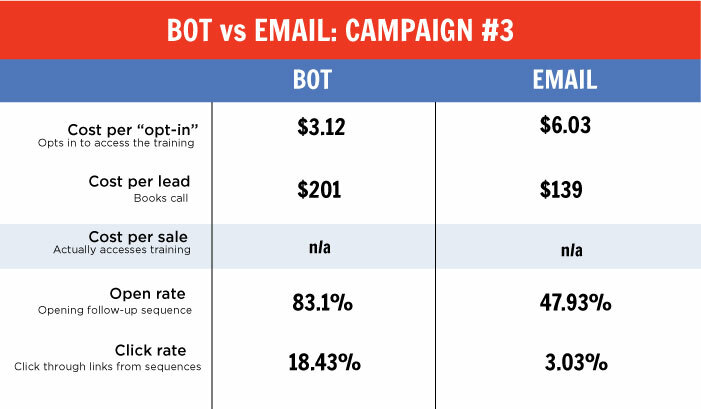 The bot uptake was massive, but the backend conversion rates didn’t even come close to email. 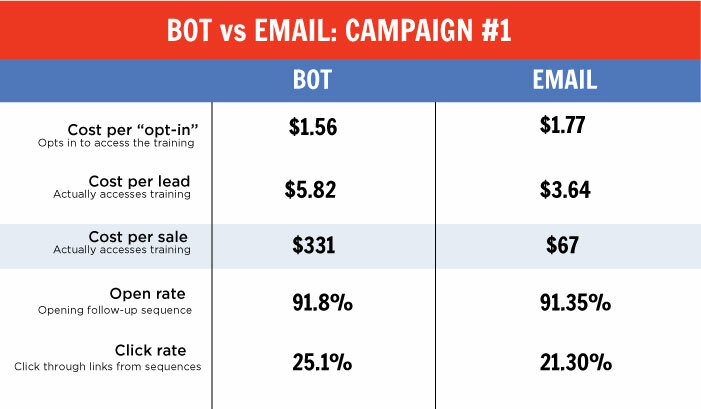 While the bot open rates and click through rates were on average higher than email respectively, email sequence won the day for every single funnel and business when it came to the ultimate and most important figure – cost per lead. This really surprised me to be honest. But after thinking about it I could sort of see why. The front end uptake is high – but back end conversions are weaker…remind you of something? 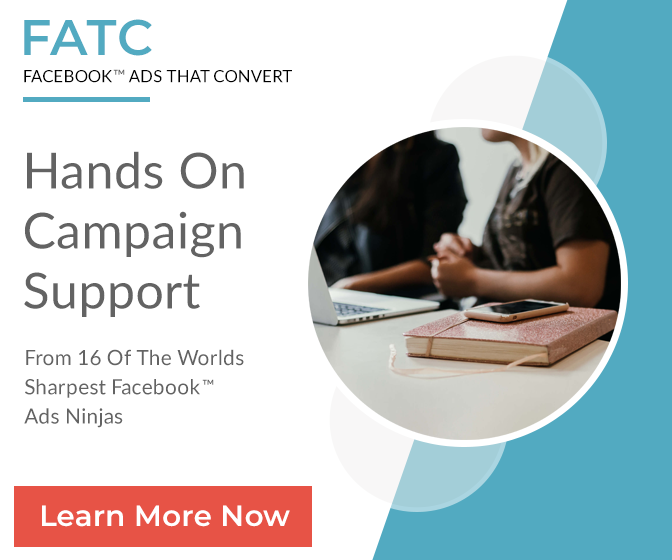 Lead ads are notorious for “cheap leads” in the FB ad world. They’re actually not cheap leads, they’re just harder to convert. One explanation is the popular “foot in the door” theory, otherwise known as the “small yes”. 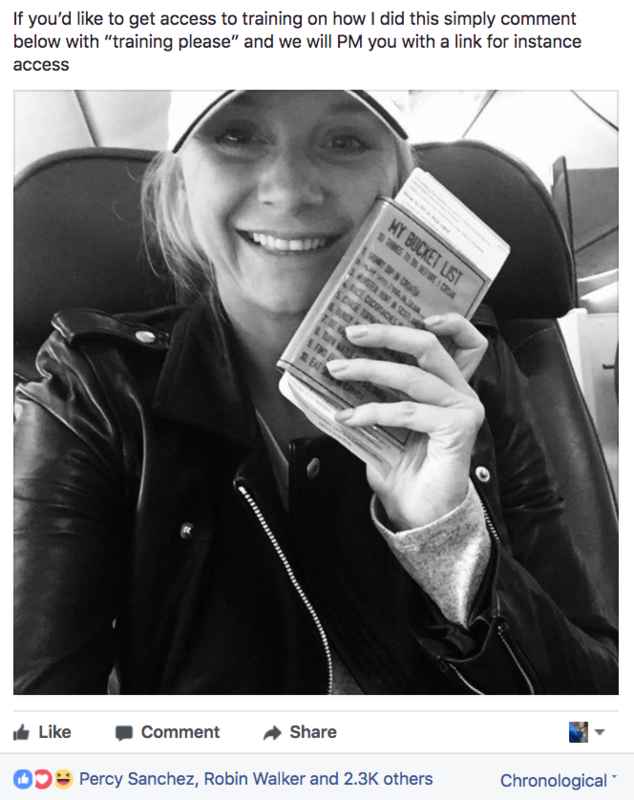 The principle is this: Start by asking someone for something small. If they comply with your first small request, they will be more likely to respond to your next and bigger request. But lead ads and bots are almost TOO easy. They require minimal effort from the lead – leading to a great user experience, but a not so great sales pipeline. On the other hand, landing pages where a user needs to push a button then fill in their details is a slightly bigger commitment, and it seems that this slight increase in commitment makes the world of difference. There are some factors which could have tainted the results. I did not run the campaigns at the same time, one was paused whilst the other was live. So because it’s over different months, one could argue that this alone would cause variances and skews. Effortless isn’t always great news for sales funnels. Lead ads and bots are almost TOO easy. I’ve since turned off my bot funnels and scaled up my standard funnels – I’ll test it out again in a month or two and will update this post accordingly. I’m in NO WAY saying bots aren’t good. 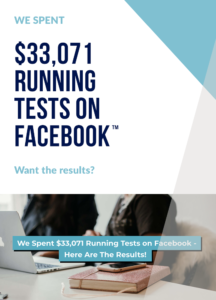 This was literally a test run over three businesses and three funnels -and while a lot of budget was spent here, it’s really not the most robust of tests. Likewise, the bot results weren’t actually bad, on the contrary they were quite good – so if I was looking to scale en masse I would have used this strategy. So while I can’t conclusively say that bots aren’t better than email what I can say without a shadow of a doubt from this test is that EMAIL IS NOT DEAD – far from it infact! Have you tested the two against each other, what were your results?